Clinic Synopsis: Music school feeder programs are vital entity to a model performing arts school. A successful arts integration feeder program with wind, percussion and string instruments throughout the course of the year middle school band students are able to interact with high school band members. Students also become comfortable and diverse with both various conducting styles at the high school level as well as sustaining their ability to perform their Grade level Music. Clinician Biographical Information Noted as one of the great instrumentalists and clinicians in the musical arena, Syreeta Thompson’s musical gift proves to be both sincere and incomparable. 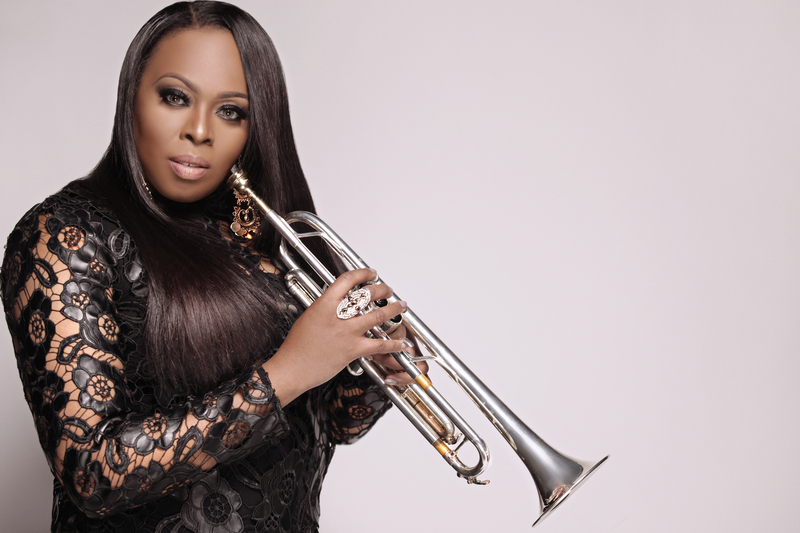 The powerful trumpeter has managed to blaze the music industry circuit by being the only female multi Billboard chart topping artist and Music Educator. Syreeta Thompson is a skilled and educated artist and whose speaking and teaching schedules remains as in demand as her musical presentations. In fact, one of her premier achievements to date is her role as the Arts Education Director for Dorinda Clark Cole’s Singers and Musicians Conference, a renowned musical convention that inspires and instructs thousands of ministers and performers each year. The incomparable performer not only has a signature sound but a signature style that includes performing with a red, white and blue trumpet, all of which are endorsed by T.HINES horns she holds the first Crystals By Swarozski Trumpet. The Stellar and Grammy nominated performer is a graduate of Douglass College, Rutgers University with a Bachelor of Arts in Music and she holds a Masters Degree in film scoring and jazz composition and arranging.. Thompson has also skillfully written six curriculums for the East Orange School District. The in-demand clinician is a Master Music Educator with the New Jersey Education Association, as well as a Member of M.E.N.C. (Music Educators National Conference) N.A.R.A.S ( National Academy of Recording Arts Sciences). Syreeta Thompson is a 2017-2018 Hollywood Music in Media Nominee. Second Clinician Biographical Information Oscar Petty has served as Principal Oboist of the Rome Festival Orchestra, has toured Germany, France, Switzerland, Austria, and Canada. He was one of only four finalists to be awarded an Orchestral Performance Fellowship to the first Los Angeles Philharmonic Institute. He has performed Lincoln Center and Carnegie Hall. Dr. Petty was awarded a fellowship to the American Conservatory of Music at Fontainebleau, France. He has performed in master classes at the Bach Aria Institute at New York University, American Oboist Conference at the Cincinnati College-Conservatory of Music, and Aspen Music Festival in Colorado. 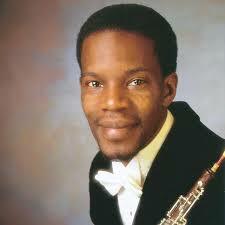 He also has served as Principal Oboe for the Staten Island Symphony, Virtuosi de Camera. Dr. Petty has premiered five new works for Oboe by legendary composer Mario Lombardo of Cranford, NJ. Dr. Petty was honored with Music Educator of the Year award from William Paterson University. He has taught music in the Orange, Roselle, and Newark and East Orange New Jersey school districts. Dr. Petty made his debut as a soloist at the world premier of the Concerto for Oboe and Orchestra by Mario Lombardo with the Orchestra of St. Peter by the Sea. As a result of 23 solo oboe performances of the Lombardo Concerto, Dr. Petty was invited to perform on WQXR FM Classical Radio. He has been visiting professor at the International Double Reed Society Conferences at Arizona State University, University of Wisconsin at Madison, University of North Carolina at Greensboro; and New York University in 2014. Dr. Petty has performed as soloist with the Philharmonic of Southern New Jersey, Sioux City Iowa Symphony Orchestra, and the Billings Montana Symphony. He has four recordings with the Rutgers University Wind Ensemble. His solo recordings include Music for Oboe and Orchestra, Billings Montana Symphony, under Uri Barnea and Spectrum, music composed by Mario Lombardo. He received is Doctorate from Rutgers University Mason Gross School of the Performing Arts. Dr. Petty is a Yamaha Artist and lives in New Jersey with his wife Carla.